Yemen is not well known in the United States, although recently the American press has focused on the humanitarian tragedy that is taking place there. Our media have reported that the conflict between government forces and the Houthi rebels has caused more than ten thousand deaths and forty thousand wounded, mostly from Saudi air raids. Graphic photographs of dying Yemeni children have appeared in our newspapers alongside reports that 60% of the country’s 28 million population are in an emergency food situation, that 13 million have no clean water or proper sanitation, and that a serious cholera epidemic has affected over 200,000 and led to 1,300 deaths. In December the U.S. Senate reacted to the Yemeni humanitarian situation by passing a resolution calling for an end to support for the Saudis in Yemen, but the Trump administration has resisted that. Despite the focus on the results of the Yemeni conflict, its underlying causes have not been very well understood. It is a complicated story but this essay seeks to highlight three important factors behind the current turmoil in Yemen that are often overlooked. First, the country has major domestic divisions that are the primary reasons for the conflict in the first place. Second, Saudi direct intervention in Yemen is nothing new and is motivated by Saudi leadership’s strong views about the country. Third, American policy toward Yemen has more to do with Saudi Arabia and the region than with Yemen itself. The modern era of Yemen’s history can be dated to 1967-1968. In September 1962, with the death of Imam Ahmad, who ruled the northern part of Yemen as its king, a group of military officers led an uprising against his son Muhammad and the monarchy. That led to a civil war in the north. The Yemen Arab Republic (YAR) that was established formally in February 1968 controlled the northern part of the country and its two largest cities, Sanaa and Taiz. Meanwhile the political scene was also changing in the south, where the British had been in control since 1839 as Aden and the Protectorate of South Arabia. On November 30, 1967, local anti-colonial rebels evicted the British and created an independent south Yemeni state, later named the People’s Democratic Republic of South Yemen. The north-south division of Yemen was made clearer by the completely divergent foreign policies of the two countries. The Aden government in the south secured strong political and material support from the Soviet Union, and was considered one of Moscow’s strongest allies in the Arab world during the Cold War. 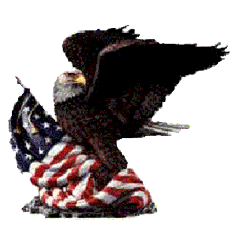 It refused to have any diplomatic relations with the United States or any West European countries. In the north, the Sanaa government maintained excellent relations with the United States, Western Europe and the conservative monarchies of the Persian Gulf. The United States provided Sanaa with an array of military equipment and various types of economic assistance. Washington saw its relationship with North Yemen as a way to demonstrate benefits to Yemen of Western cooperation, in contrast to South Yemen. The Sanaa government, however, also had cordial relations with the Soviet Union that provided it with military equipment as a kind of balance to Sanaa’s very extensive relations with the West. But the north-south border was to some extent a cold war divide. In 1990, the President of North Yemen, Ali Abdullah Salih, managed to bring about the unification of north and south. It was advertised as an equal partnership, as Salih enlisted a southerner, Abdrabbuh Mansur Hadi, as his vice president. But soon the southerners complained about being disadvantaged economically and otherwise in the union, and a rebellion began that became a north-south civil war in 1994. Because of North Yemen’s superior military capabilities, Sanaa was able to win the war over Aden in a few months. But southern resentments remained. After the turn of the century, tensions arose between the government in Sanaa and Yemenis in the north, who had unanswered grievances with the government. Low-level armed clashes took place sporadically during the first decade of the 21st century, but they were inconclusive. This was a precursor for today’s civil war. Then in 2011, as the Arab Spring reached Yemen, public discontent with the economic situation and criticism of corruption in President Salih’s government broke out nationwide into large street demonstrations by thousands of citizens. Although Salih agreed to step down from the presidency, he did so with conditions that allowed him to stay in the country and retain some influence. Part of the deal was that Vice President Hadi would become president in an uncontested election and would then convene a national conference to write a new constitution that would supposedly resolve grievances and reconcile regional differences. The national conference, however, revealed that sharp regional differences remained, and the new president proved unable to bring the country together. He alienated both northerners and southerners, who wanted more autonomy. The constitutional reforms he advocated were unpersuasive. The factions failed to agree on governing principles. Further destabilizing the situation, ex-President Salih mobilized allies he had been cultivating for years and worked to undermine the authority of the new president. Taking advantage of the political unrest and uncertainty, a northern tribal leader named Abdalmalik al Houthi sent his militias south to assert the economic and political claims of his region. By September 2014 they had reached Sanaa and taken over parts of the capital. Their success was facilitated by former President Salih who joined them and persuaded elements of the army, air force and republican guard units still loyal to him to support the Houthi advance. The Houthis called themselves “Ansar Allah” and used political slogans but they had no clear political agenda other than to advance interests of Yemenis in the north. They gradually expanded control over the capital city of Sanaa and surrounded the presidential palace where President Hadi was besieged. On January 21, 2015 Hadi resigned. On February 6, the Houthis put Hadi under arrest, dissolved parliament and set up a governing council of 151 supporters. The UN Security Council met in emergency session on February 15, 2015 and passed a unanimous resolution demanding that the Houthis return control of the government to President Hadi. Ten days later a UN commission investigating former president Salih announced a finding that Salih during his presidency had amassed a huge personal fortune through corrupt dealings; that was followed by a UNSC resolution imposing sanctions on Salih. Meanwhile Hadi was released by the Houthis and on March 23, 2015 he fled to Aden, which was still beyond reach of the Houthis. Hadi rescinded his resignation, and appealed to Saudi Arabia and the Gulf Cooperation Council (GCC) for help. Thus began Yemen’s current civil war – its third since the founding of republic. When President Hadi asked the Saudis for help in 2015, the Saudi government responded almost immediately with direct military assistance against the Houthis. That decision was rooted in substantial precedent and a deep Saudi belief that events in Yemen can have a negative existential impact on the kingdom. The Saudis had first intervened directly in Yemen in 1962, when a group of Yemeni officers launched their rebellion against the monarchy. Imam Muhammad fled to Saudi Arabia. The Saudi government gave the imam sanctuary and support, supplying royalist forces inside Yemen with military equipment, hoping he would regain his throne because they did not want to see a monarchy on their southern border disappear. Gamal Abdal Nasser sent 20,000 Egyptian troops into Yemen to support the revolution against the imam, later increasing the number to 70,000. Nasser saw Yemen as an opportunity to further his aim of supporting Arab nationalist movements against monarchies. This alarmed the Saudis so they asked Washington for help. President Kennedy was reluctant to take sides and first used personal diplomacy with Nasser and the Saudi King Faisal. His experienced Arabic-speaking ambassador to Saudi Arabia urged Faisal to show restraint. But as Egyptian planes flew along the Saudi border, Kennedy sent USAF planes to patrol Saudi skies in order to deter Nasser. When the Yemeni civil war ended in 1970, the Yemeni Arab Republic had been established and was in firm control on Saudi Arabia’s southern border, much to the disappointment of the Saudi government. During the 1970-90 period when there were two Yemeni states, Saudi Arabia maintained cordial but not very friendly relations with YAR President Ali Abdullah Salih, who was convinced the Saudis were trying to undermine him. When I was ambassador to the YAR in that period, Salih repeatedly complained that Washington did not respect Yemen as a sovereign and independent nation, but only viewed Yemen through Saudi eyes. He was not entirely wrong. Then in 1994, when a war broke out between the rebels in south Yemen and the government in Sanaa, President Salih watched as the Saudis openly gave political and material support to the southerners. The Saudi support was not enough to overcome Sanaa’s much greater military capabilities, however, so Salih was able to win that civil war. But the experience only increased his resentment of Saudi meddling in Yemen affairs. The next direct Saudi intervention in Yemeni affairs came in 2015 and continues to this day. On March 26, 2015, three days after the Houthis captured Sanaa, the Saudi government declared support for President Hadi and began bombing Houthi forces in Yemen. The Saudis mobilized support from ten other countries in a coalition determined to combat the Houthi takeover. Ten members of the coalition, including four of the other five GCC countries (the UAE, Kuwait, Qatar and Bahrain), plus Egypt, Jordan, Morocco, Sudan, Senegal and Malaysia declared they would provide some kind of military support, unspecified. The United States declared it would support the Saudi coalition but with very limited involvement, essentially intelligence and aerial refueling of Saudi planes. 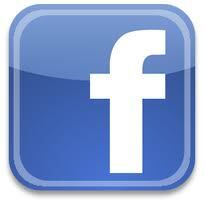 Four other countries – France, the UK, Belgium and Turkey – gave the coalition political endorsement. Only Iran, Russia and China explicitly opposed it. The Saudi leaders believed they had several compelling reasons to intervene. First and foremost, they regarded the Houthis as a Shiite movement that was deliberately hostile to Saudi Arabia, a country founded on conservative Sunni religious principles. The Saudi leadership has a history of countering the spread of Shiite theology, as witnessed by its dealings with its mostly Shiite Eastern Province. The Saudis had watched the growth of Shiite movements nearby that seemed to amount to Shiite encirclement of Saudi Arabia. Saddam’s Iraqi Sunni government had been overthrown in 2003 and replaced by a Shiite regime; then Hizbollah in Lebanon had in recent years expanded its activities into Syria; and the Saudis regarded Syria’s Bashaar al Assad (an Alawite) as associated with the Shia. Second, the Saudis believed the Houthis were allied with Shiite Iran, and therefore they seemed to pose an additional threat to Saudi national interests. The Saudi view was that Iran’s direct involvement in Iraq, Syria, and Bahrain, and through Hizbollah in Lebanon and Syria, was a hostile plot to surround the kingdom and threaten the Sunni stronghold. Third, Saudi Arabia had always been very sensitive to possible threats coming from Yemen, a country on its southern border that Riyadh regarded as unstable and potentially dangerous. 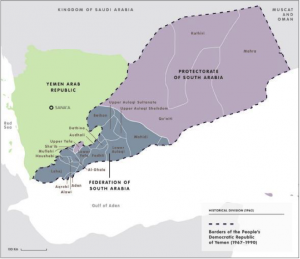 This had caused them to intervene in Yemen’s two previous civil wars; the Saudi concern was to keep Yemen weak so it could not threaten the kingdom in any way. Fourth, planners in Riyadh obviously assumed that since Yemen was a very poor country with a limited military force, an intervention by the U.S.-supplied Saudi military would lead to a quick victory. Fifth, the Saudi leadership had just changed with the death of Saudi king Abdullah in January 2015 who was succeeded by King Salman. In June, Salman named his son Muhammad crown prince and defense minister. It soon became obvious that Muhammad bin Salman was already in charge of most aspects of Saudi foreign and domestic policy and would be very pro-active and precedent shattering. Whereas all previous Saudi leaders had been extremely cautious and risk-averse, Muhammad seemed to be eager to establish new directions, and to make his mark quickly and decisively. He was only 31 and had no military training but as defense minister presided over a war in Yemen. He optimistically labeled it “Decisive Storm” but it turned out not to be decisive at all. The Saudi intervention failed to stop the initial Houthi assault. 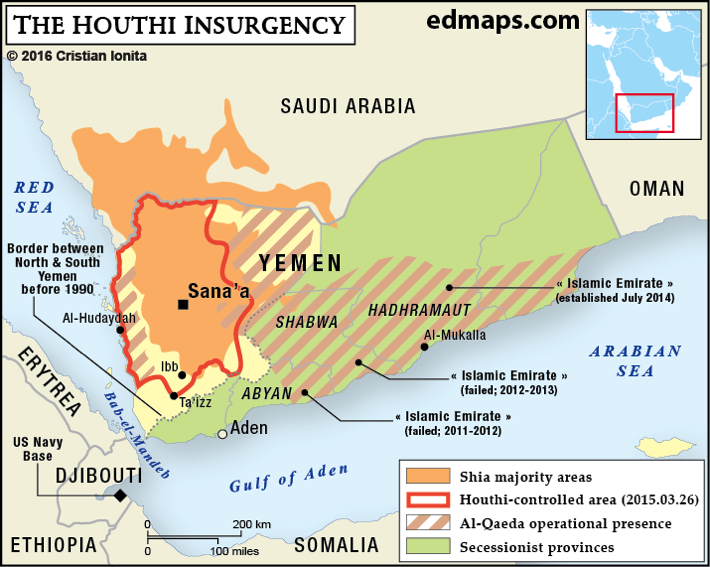 Houthi forces, aided by supporters mobilized by former President Salih, advanced all the way to Aden by April 2015, despite the Saudi bombing raids. President Hadi had to flee to Riyadh. The Saudi air assaults eventually pushed the Houthis out of Aden by August 2015, partly with the help of a small contingent of UAE ground troops. But by September, despite Saudi uncontested air superiority and constant bombing, the battle lines froze. Houthi forces remained in control of a large portion of the North. The stalemate has lasted now for nearly four years. U.S. relations with the Yemeni government in Sanaa have remained very good since the establishment of the republic, with the exception of a brief period in the early 1990s when serious differences emerged between Washington and Sanaa. When the U.S. mobilized a global coalition against the Iraqi invasion of Kuwait in 1990, President Salih decided to support Saddam Hussain. Salih’s decision led to the suspension of economic assistance to Yemen by the United States, and also by Persian Gulf Arab states. But President Salih was able subsequently to repair his relations with Washington as well as with the Gulf states. One issue that after 9/11 brought the two governments closer together was America’s Global War on Terror. U.S. relations with President Salih improved substantially as he cooperated in a counter-terrorism effort against Al Qaida in the Arabian Peninsula (AQAP). In 2008, an al Qaida suicide bomber attacked the U.S. embassy in Sanaa. In December 2009 AQAP took credit when a Nigerian on a commercial flight near Detroit tried to detonate explosives in his underwear. In October 2010 two parcel bombs on separate cargo planes that were sent by AQAP intended to blow up in the U.S. were discovered in Dubai. The United States came to regard AQAP as the number one terrorist threat to its security anywhere, and conducted drone strikes against AQAP in Yemen with the approval of the Yemeni government. In 2011 U.S. drones killed AQAP leader Anwar Awlaki and his son, both American citizens, and in 2015 U.S. drones killed AQAP’s leader, Nasir al Wuhaishi. When the civil war broke out in 2015, the United States government made the decision to support the Yemeni government of Hadi, and to assist Saudi Arabia in its intervention against the Houthis. Washington policy makers had several reasons to justify that choice. First and foremost, Washington recognized that the Saudi government felt very strongly that the Houthi rebellion on its southern border was a clear threat to its national interests and had to be dealt with decisively. The U.S.-Saudi official relationship has been consistently strong since 1945, and Washington policy makers are aware that the relationship has brought the United States great economic and commercial benefits, as well as political support from the cold war to fighting terrorism. Recent regional events in Iraq, Iran and Syria had raised Saudi leaders’ concerns that U.S. support for them was declining, so Washington felt it was important to reassure Riyadh. Supporting the Saudis directly on their Yemen intervention seemed to be a good way to do that since the Saudis regarded Yemen as a vital interest although Washington did not. Second, the United States supported Hadi because the U.S. has had good relations with the Yemeni government since the 1960s and the Hadi government had been elected legitimately. Third, America’s allies in the West and elsewhere, as well as the United Nations, supported the Hadi government and denounced the Houthi rebellion. Fourth, the Houthis had little appeal in Washington as a rebel movement. They were not well known to U.S. policy makers, and their slogan included the phrase “Death to Israel” that made them seem to be just another radical terrorist movement, although the Houthis actually cared very little about the Arab-Israeli conflict. However, American policy of support for the Saudi intervention in Yemen has not been without unintended consequences and growing criticisms. Today’s civil war has seen the intervention of outside states that made decisions not based on anything intrinsic to Yemen itself, but rather because of what they regarded as compelling national interests in the wider region. Saudi Arabia and the UAE see the Yemeni situation primarily as part of their confrontation with Iran, and Iran in turn does not mind using Yemen to distract them. American intervention, too, is motivated very little by the internal situation in Yemen but rather by Washington’s perception of its overriding interests with Saudi Arabia elsewhere in the region. And like the wars in the 1960s and 1994, Saudi Arabia has undertaken a military intervention to try to resolve what is essentially a Yemeni internal matter. There are several problems with Saudi policy. First, Riyadh asserts that Yemen is a threat to the kingdom because Iran is providing direct support to the Houthis as Shiite coreligionists hostile to the Sunni Saudis. However, Houthis are Zaydi Shiites, quite different from Iranian Shiites. In practice they are quite tolerant, often worshipping together with Sunnis. Moreover, despite Saudi claims, there is little evidence that Iran has provided any significant military assistance to the Houthis. The Saudis have imposed a naval blockade on Yemen, so, for example, the rockets that were fired on Riyadh by the Houthis and identified as Iranian probably were supplied before the conflict and captured by the Houthis. As outsiders it is difficult to understand fully what motivates Saudi thinking about Yemen today, but we can make a few assumptions. The Saudis probably find it useful to support their Yemen intervention by claiming material Iranian support for the Houthis when it probably does not exist. That fits nicely into the Saudi narrative demonizing Iran in the Middle East. But Riyadh must be intensely frustrated by the failure of its punitive air strikes to force the Houthis to surrender. The young Crown Prince is committed to “win” in the Yemen war, since it is part of his ambitious strategy to reshape Saudi policy, foreign and domestic. Moreover, as outsiders we may regard as exaggerated and unrealistic Saudi paranoia about Iranian “encirclement” and fear of anti-Sunni forces on its southern border, and assume they simply cover Saudi attempts to justify their aggressive Yemen policy. But the Saudi leaders in Riyadh may actually believe that these threats are existential. As for America’s Saudi-centric view of Yemen, it has two major drawbacks. One is that the ongoing civil war has facilitated the expansion of activities by the AQAP and ISIS, whose eradication had been a major policy objective of the United States. The chaos in Yemen brought about by the fighting and the division (again) of the country into north and south has made it impossible for the U.S. to continue the close cooperation it had with the Yemeni government in fighting terrorism. 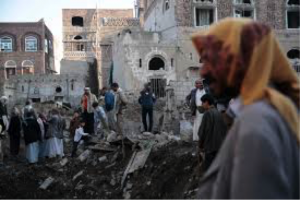 Second, as Saudi Arabia has continued its aerial assaults on Yemen that have led to huge civilian suffering and death, the United States has been implicated in the human tragedy because of its support for the Saudi air strikes. American officials assert that they have made representations to the Saudi Government to avoid human suffering in Yemen, but the suffering continues. It is true that Houthi actions have apparently also led to innocent civilian deaths but it is the American connection with the Saudi actions that have attracted negative attention from Congress and others. Thus the U.S. government has become involved in what seemed to be a simple and brief affair to help restore a legitimate government to power, but Washington has become the subject of domestic and worldwide criticism for its role in Yemeni civilian suffering. Finally, the recent death of Saudi dissident Jamal Khashoggi, apparently at the direction of the Saudi Crown Prince, has focused strong negative Congressional attention on the Saudi government. This is a separate issue but it has had the effect of reinforcing American Congressional and public demands that the U.S. modify its policy on Yemen. As 2019 begins, an end to the conflict is not in sight, although Houthi-Saudi cease fire talks have been held with the help of UN mediators. The Saudi leadership is reluctant to settle without a complete Houthi defeat and the Houthis are unwilling to give up their gains without achieving some of their aims. Nor are there any signs that that President Trump will take a strong stand against Saudi Arabia. Unlike President Kennedy, who used his best diplomats to urge Saudi restraint in Yemen, President Trump has not had a U.S. ambassador to Riyadh since he took office (although one was finally nominated in December). An end to the fighting will probably require an agreement among the Yemenis to rectify the local grievances that led to the start of the violence in the first place. An effective mediator might help achieve that, but the Yemenis themselves, not outsiders, must agree to lay down arms. William Rugh holds a PhD in political science. He is the author of “Arab Mass Media” and many articles on Middle Eastern subjects as well as three books on public diplomacy. 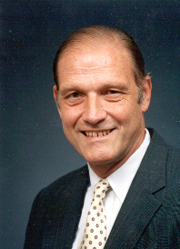 He was a U.S. Foreign Service Officer for 31 years, during which he served in six Arab countries, including as ambassador to Yemen (1984-87) and to the United Arab Emirates (1992-95). In Washington he served in senior positions at the U.S. Information Agency. Between 1995 and 2003 he was President of the NGO Amideast. He currently teaches courses at the Fletcher School of Law and Diplomacy and Northeastern University.